TukAllegro is a family business that gives you a new experience while visiting the city of seven hills, Lisbon. It is a personalized and relaxed tour that takes you to the most important historical sites, while the corners and the most beautiful views of the city. The Tuk Tuk is a transport that allows you to visit places where other means of transport can not take because of its size, which allows you to save time too. In our society, we also want to pass a green image, offering the possibility of an electric vehicle with a capacity of 6 people. 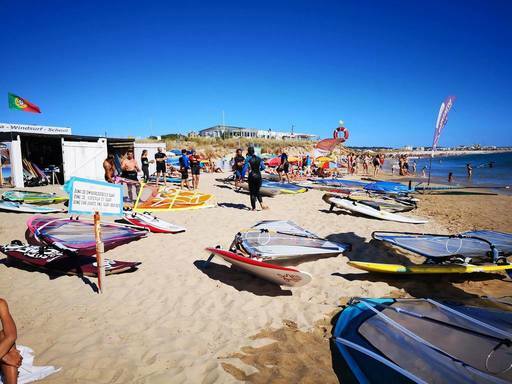 Since 2006, elisiario.com helps a growing number of Windsurf practitioners, mainly devoted to tutor and teach Windsurfing and Paddle. 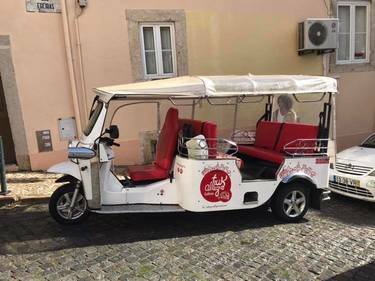 Feel the freedom to experience the beauty of Lisbon, in an Eco-friendly and Fun way! On board a Twizy, drive through the City of Seven Hills and hear the story of the Monuments, Places and Viewpoints, always oriented by our GPS Audio Guide, you will be able to contemplate and listen along this journey at your own pace. It is the best activity to explore Lisbon, the Twizy is an electric car and despite being silent attracts the attention of all The Self-drive Tours, gives you complete freedom to stop at the picturesque locations of Lisbon, go on a tour at your own pace, this ecologic car speaks to you, and tells the stories, curiosities, secrets of Lisbon and its people, in a relaxing way!